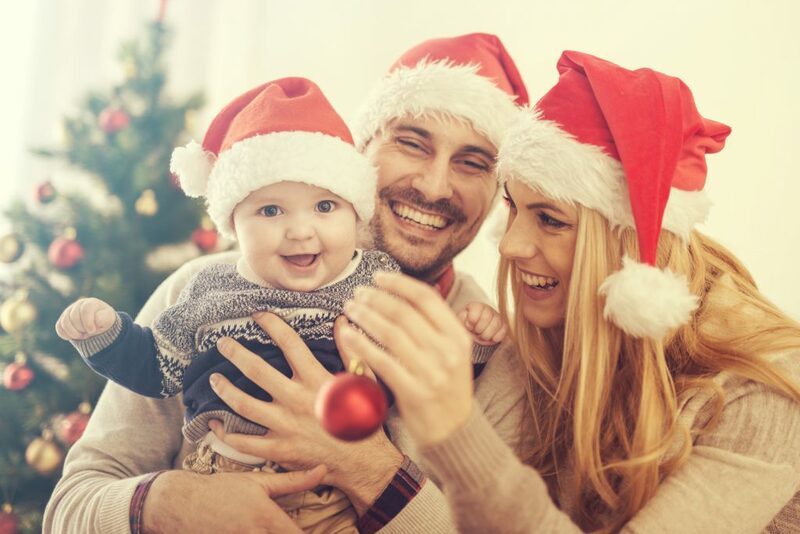 Holiday plans are underway and while you are planning travel, accommodations, and Holiday excursions, you should also be scheduling in some sleep time for your baby. I know keeping your child well-rested during the busy Holiday season can be a concern but it doesn’t have to be. You can still deck-the-halls and protect your little ones sleep. 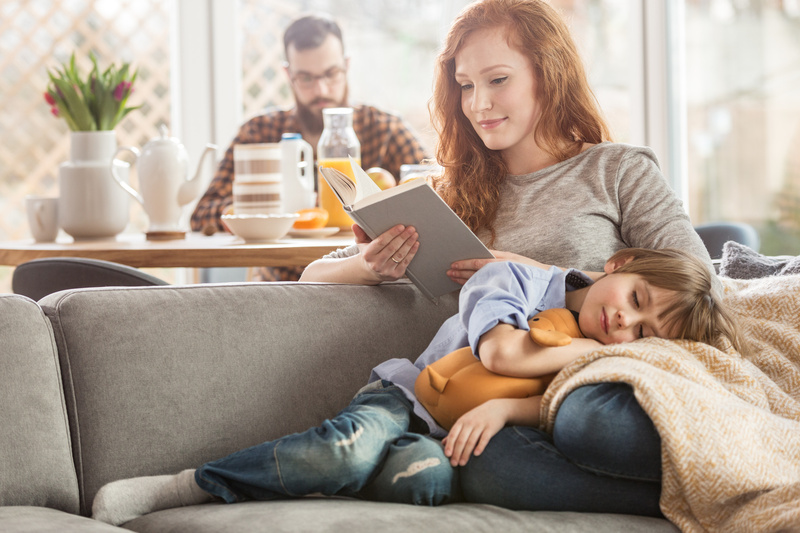 Setting up an Unfamiliar Environment for Sleep Success – Create a sleep environment when away for the Holidays by including your child’s familiar positive sleep associations. Throw your baby’s favourite lovey in your diaper bag. Darken up the room with travel blinds or garbage bags. Taking these small steps can have a huge step in a seamless bedtime. Routines can Travel with You – The best thing about a consistent before-bed routine is you can take it with you wherever you go. Practice the same calming activities like reading a familiar book, singing the same lullaby, and giving cuddles no matter where you are. 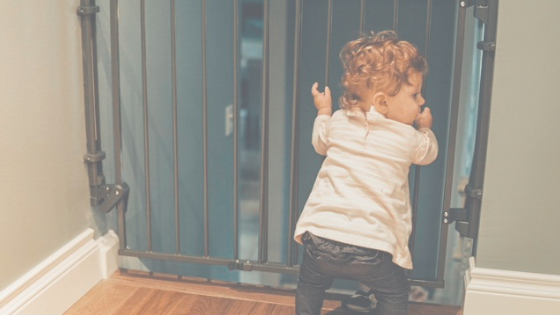 This will cue your little one that sleep is coming and they will feel safe and secure in knowing what to expect when things around them are not so certain. 80/20 Rule Works – With the festivities and travel it can be tough to stick to your normal schedule. I like to follow the 80/20 rule and a well-rested baby can handle it perfectly. How it works is simple. 80% of the time protect your little ones sleep. Protect bedtimes and naps as best you can. Keep things simple with little ones in tow. If you know bedtime will be pushed out later then focus on proper naps that day. 20% of the time, if you have to veer off the norm no big deal. As long as you aren’t doing it consistently for consecutive days your child will adapt to it fine. Remember it can be a slippery slope and a sleep debt can slowly accrue. If you feel like you’ve pushed things for a few days give your child a day of rest and get him back to his usual routine. Tip – If you are heading towards an early bedtime and the Grandparents aren’t too happy get them involved in the bedtime routine! You can sneak off and enjoy another glass of eggnog while grandma gives him a bath. Recharge your own batteries and enjoy some social time. Leave the Cookies for Santa – Set a limit on the holiday treats as well. With all the cookies and candy canes it can be difficult for your child to get his proper nutrition throughout the day. Getting him to bed with a tummy full of cookies can be a struggle. Suite Dreams – If staying in a hotel room is on the agenda try to book a suite with at least two separate rooms. Generally the price is pretty reasonable for the upgrade. Most suites have enough space in the main room for a pack n play and/or come with a sofa bed for toddlers. This way you can sneak off into the bedroom while your little one is falling asleep and you don’t have to hide out in the bathroom with a bottle of wine. Choosing the Best Time for Road Tripping – A long car ride is always best if you can time it just right with your baby’s nap. It generally depends on the car ride duration. If it’s only an hour or so, try and leave after their morning nap. This way once you arrive at your destination you can get them down for their afternoon nap. If your trip is longer, leave at least 30 minutes to an hour (depending on how sleep sensitive your child is) before naptime. This way your baby will have time to relax and chill out and then hopefully fall asleep right around his usual naptime. ‘Tis the season to be merry and have fun. Enjoy your time with family and friends but remember when better rested your child will process all that is going on around him and avoid overstimulation. He will be happier and more pleasant and that can add to a happier Holiday for mom and dad too!